Kelly joined the Foundation in 2018 as a Networked Improvement Science Fellow. 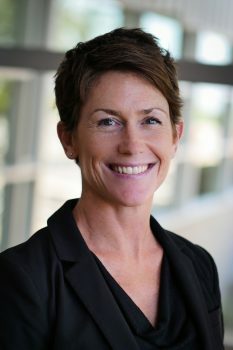 Prior to joining Carnegie, Kelly was a postdoctoral fellow at Northwestern University, where she worked on the COHERE Project which investigates school districts’ efforts to create alignment and continuity in math instruction for Pre K-3 grades and the influence these initiatives have on students’ math learning. Kelly is particularly interested in the design and implementation of system-level reforms that promote continuous improvement of instruction and school quality. Using qualitative research methods, Kelly explored the effects of school accountability policies and networked school support structures. Kelly earned a Ph.D. in education administration and policy from the University of Michigan. She also has a masters in education administration, leadership and technology from NYU and a masters in English education from Teachers College, Columbia University. She worked as a high school English teacher at Stuyvesant High School in New York City, a teacher-educator at the University of Michigan, School of Education in Ann Arbor, and a business consultant at Arthur Anderson in Detroit and Chicago.